Many families place a loved one in a nursing home with the hope that the nursing staff will provide the highest level of care and assistance to ensure their safety. Unfortunately, many residents suffer serious injuries and premature death caused by falling that could have been prevented had the staff followed established procedures, protocols and the resident’s plan of care. Sadly, the Chicago elder abuse attorneys at Rosenfeld Injury Lawyers LLC have represented many family members who have lost loved ones due to an early death caused by the reckless or careless actions of the nursing staff. Many of the elderly individuals in nursing facilities have brittle bones and any fall could immediately compromise their health and well-being. This is especially true for residents who are easily disoriented, have a frail medical condition or are naturally prone to falling. The nursing staff is required to develop an effective plan of care that is followed by everyone to ensure the safety of every resident at high risk for falling. Every month, the federal government and the state of Illinois routinely update their nursing home database in an effort to reflect the most currently filed complaints, safety concerns, health violations and opened investigations on every facility in the United States. The updated information is then posted online on numerous websites including Medicare.gov through their comprehensive star rating summary system that includes a comparative analysis tool. Many families use this tool as an effective way to determine the best location in the community place their loved one who requires a high level of assistance with health and hygiene needs. In a separate incident, the state investigator reviewed a different resident’s medical records that revealed the resident “has poor and ineffective coping skills, impaired cognition, and requires assist with all activities of daily living and is at high risk for falls.” The investigator observed the resident at approximately 2:00 PM 10/14/2015 when the resident “was in a low bed with no visible bed alarm.” At that time, the Assistant Director of Nursing “was present and confirmed [the resident] not having a bed alarm attached [… stating that the resident] had a fall on the previous day. 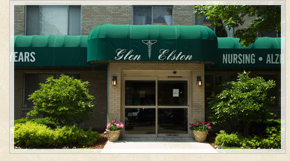 If your loved one suffered serious injury or an early death due to falling while residing at Elston Nursing and Rehabilitation Centre, Rosenfeld Injury Lawyers LLC can assist you in beginning the process to obtain the financial compensation you deserve. Our Cook County elder abuse lawyers have immediate access to state investigators and all the necessary resources to build your case for financial recompense. Contact our Chicago Illinois nursing home abuse law firm at (888) 424-5757 today to schedule a free case evaluation. Because we handle all personal injury claims on contingency, no upfront fees are required.